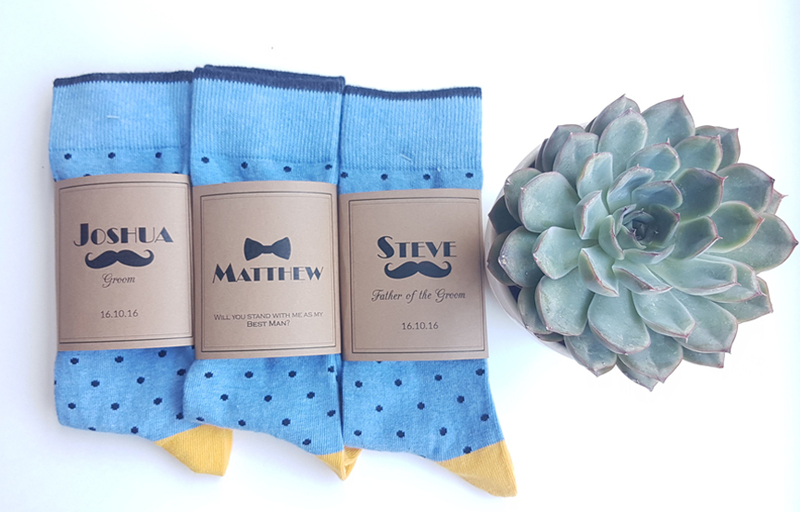 Personalizing gifts simply causes the giver to exercise an extra ounce of thoughtfulness and creativity. And no matter how big or how small a gift is, seeing your name on it makes it extra special. 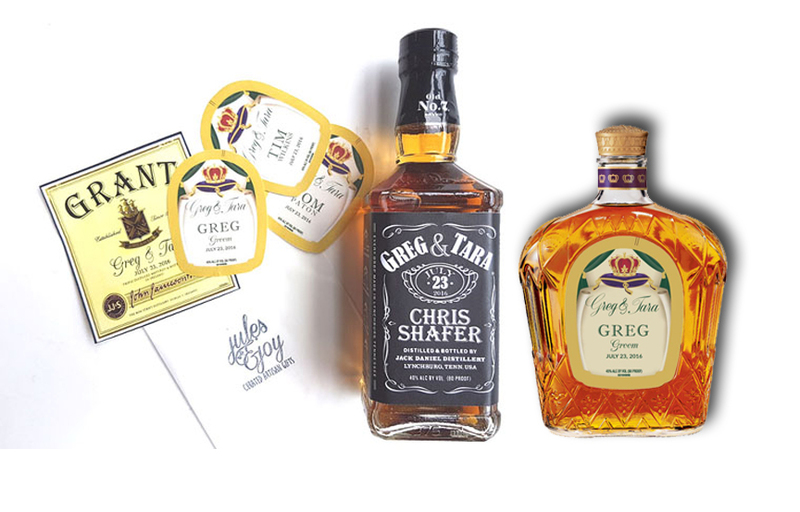 We’ve made a list of our best-selling wedding gifts that were personalized. 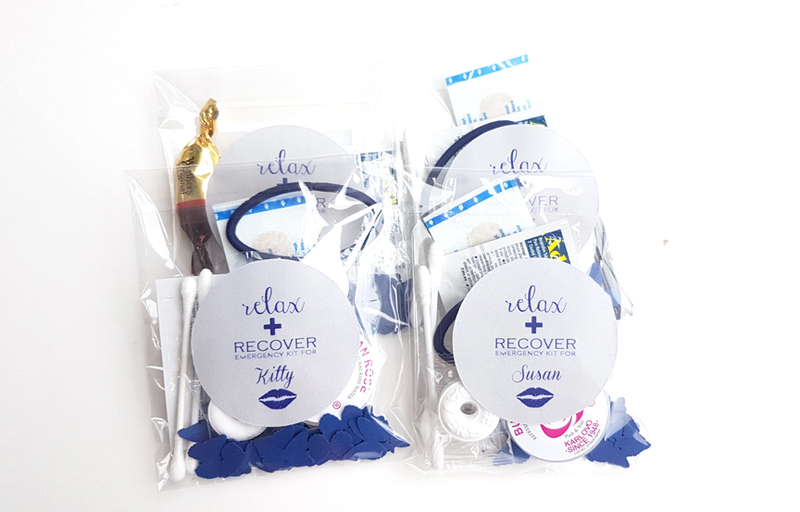 May these give you some ideas on how you can personalize your own. 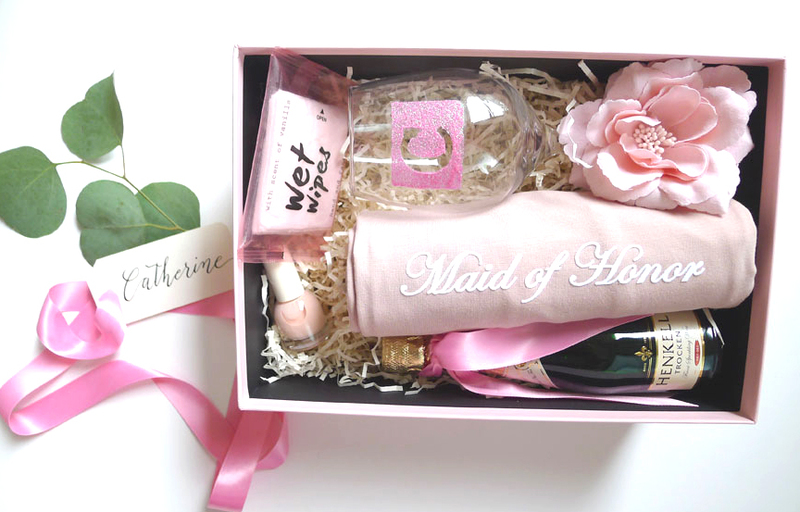 Gather some of the favorite things of your soon to be best man or maid of honour and pop the question! 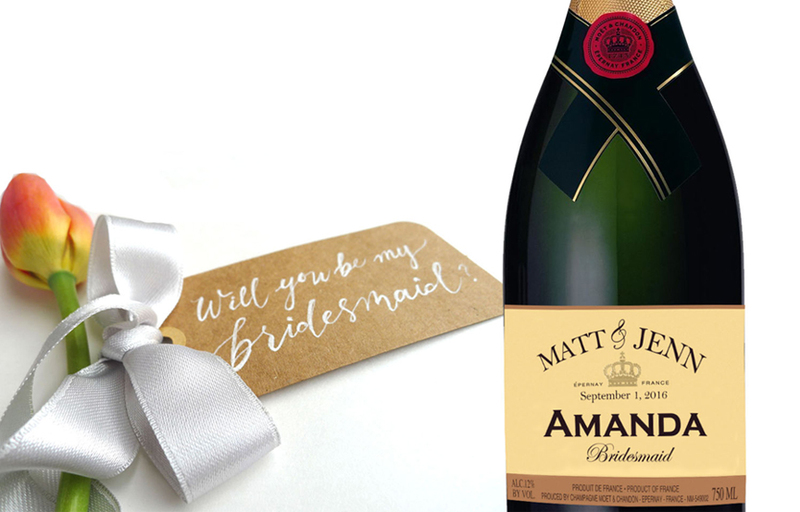 One of the most popular gifts for your bride tribe or groom squad is the bubbly. 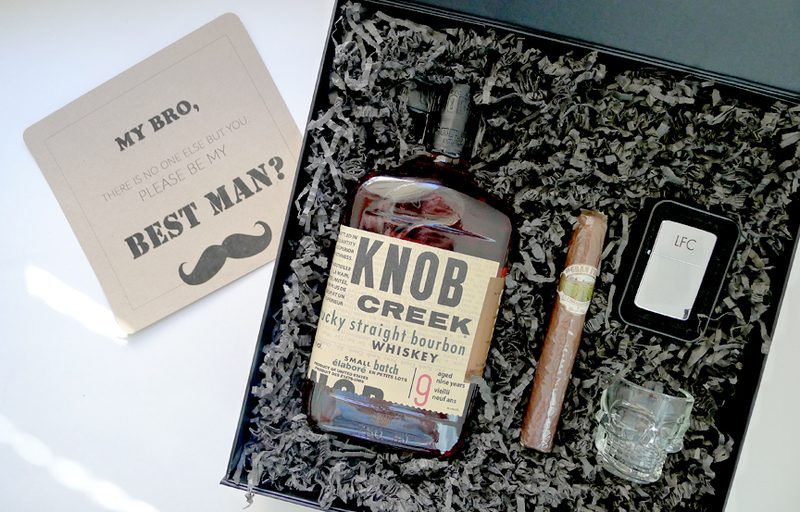 What is better than celebrating with a good ole Jack Daniel’s whisky or a French champagne? Of course, whenever there’s alcohol, there will always be a not-so-pleasant-feeling the next day (to some, at least). 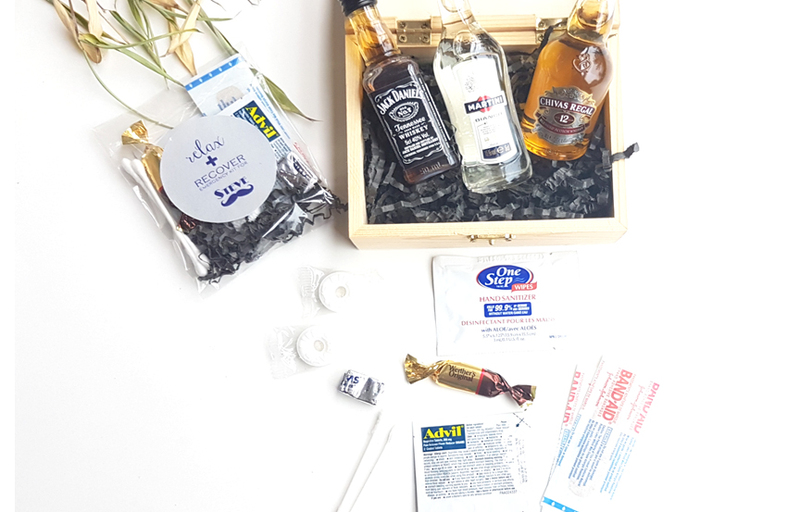 For out of town weddings, be the hostess with the mostest by providing your wedding guests and entourage with emergency and hangover kits. 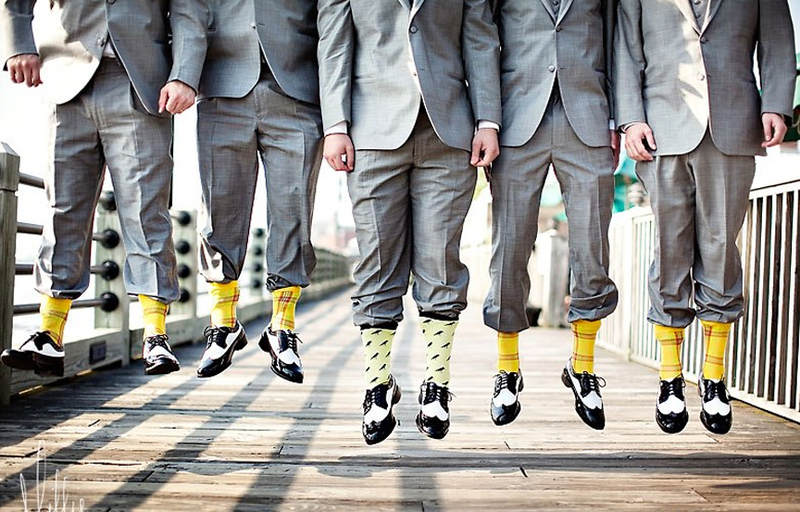 Funky, identical socks make for a fun photo shoot!